Marijuana harvest time is coming! For outdoor cannabis growers, the time has come in the northern hemisphere to start preparing to harvest your buds. September through October is outdoor marijuana harvest time for much of North America. For the newbie large scale grower, you may be doing a bit of reading on how to catch your new plants at optimum potential. 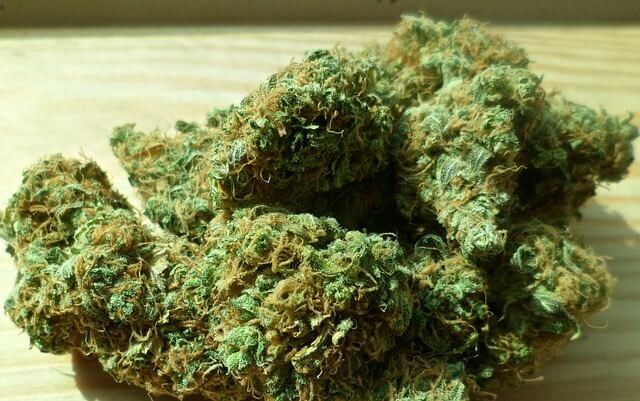 Here we will consider when the perfect time is to harvest the buds from the plant and begin processing them for use throughout the coming year. To that end, we’ll also recommend some bud trimming machines to save you some time, money and hard labor. 1 So when should I pick my buds? So when should I pick my buds? Different strains of cannabis plant will have different timings in coming to maturity. Outdoor growers and indoor growers will have different things that trigger bud formation and maturity. While less secure from the authorities, the outdoor grower will be controlled by nature while the indoor grower will have adjusted the lighting cycles for the plants when the time has come to force budding and flowering. In either case, and according to the strain of the plant, there is no fixed day in which you should consider harvesting — day 55 of one plant’s life cycle could be optimum, while day 77 could be optimum for another. There are clear effects of harvesting too early or too late — too early in the cycle and consuming the cannabis could be like drinking super strong espresso. Too late in the cycle and consuming the bud could cause ‘couch lock’, with you being too sedated do get off your backside for hours. A happy balance is key! Before you use the jewellery loop, though, there are some signs that harvest time is coming that you can see with the naked eye. The bigger leaves will have started to brown and fall off and the overall color of the plant will have changed from a bright green to a darker color. At this stage you should be looking at the buds more closely. When that magic moment arrives that the trichomes are of optimal colour, suggesting that the chemistry of the bud is just how you want it, the time has come to remove the buds from your plant. For large grows, before you get to the stage of harvesting you should consider whether to use a wet trimming machine or a dry trimming machine. Generally speaking, the wet trimming machine takes more trichomes off the bud while a dry trimmer is gentler on the flowers. It should be noted, though, that for large grows, while damaging a certain amount of trichomes, the wet trimmer will not exactly decimate them and in many cases the customer is more interested in the THC content rather than the different cannabinoids like CBD. It won’t alter the high too much. Wet trimming machines have been around for around 15 years, and will separate leaves from the bud before drying. Consider using the Trimpro Rotor + Workstation Automatic Wet Bud Trimmer. With a lower price than many dry trimmers it can produce reasonably large volumes of bud at a good speed — particularly handy where there is little room to dry large quantities of whole cannabis plants. When you’ve got limited drying space, you need to consider drying the produce after trimming. This is best done in a temperature and humidity controlled environment — you should ideally store them at 64°F and around 45% humidity at 10 to 14 days to be perfect for consumption. Prior to doing a dry trim, you will need to dry the plants whole in advance of the trimming process. Dry trimmers are a relatively new invention, though you will need the space to dry the whole plants before putting them into the machine. For large grows this could be a lot of space indeed! However, they do produce much more intact buds with better mix of terpenes and cannabinoids — much better for a medical marijuana grow for instance. 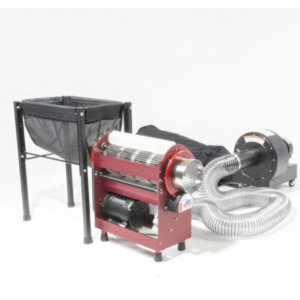 With the plants down to 8-10% moisture, these machines will lightly tumble the partially hand trimmed bud and blow off the sugar leaf to produce a far higher quality bud. 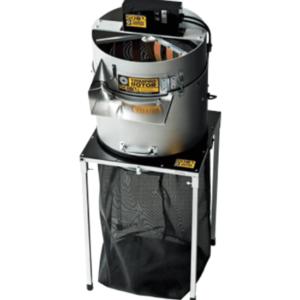 Someone looking to prepare their first large grow might consider a wet and dry trimmer such as the CenturionPro Tabletop Pro Trimmer Wet & Dry Trimming Machine, though this is built for perhaps a year’s personal harvest rather than a retail operation. For a pure dry trimmer, consider the Triminator XL Dry Commercial Grade Dry Trimmer, which is very well received among cannabis growing professionals for large grows. It’s one of the best selling trimmers out there. This might be your first large harvest, and you will be considering all the aspects of harvest time as it comes upon us. Harvest time across all agrarian industries has always been intense and busy as farmers and growers pick exactly the right time for the optimum harvest and then spend days and weeks preparing the product for sale. For cannabis growers this is no exception — you may have a window of only a week or even just a few hours at which time the plant is in perfect condition for harvesting. That could be at 4 o’clock in the afternoon one September evening in the case of an outdoor grow! From that moment you get very busy, and need the right equipment to get out your harvest in perfect condition for either direct clients or to retailers. Even if your plants are not ready just now, you really need to be thinking about buying the right equipment to produce what you hope—and you need—to be the perfect product at just the right time. Getting the right trimming machine right now will save you a whole lot of time, money and hand-ache in a few weeks time!